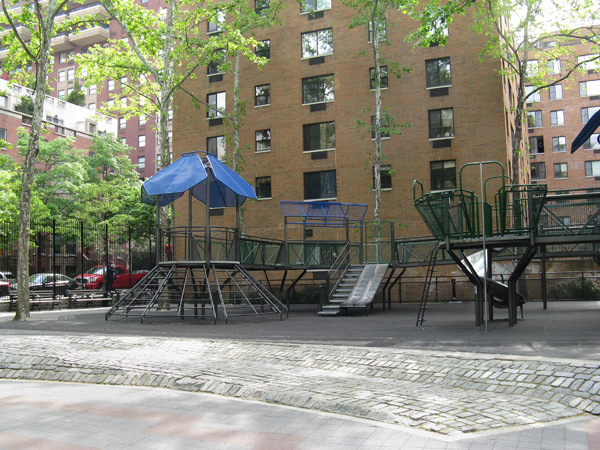 Adjacent to Public School 166 in central Manhattan, this 0.4-acre playground was constructed in 1967 and served as an early model for adventure-style play. Comprised of geometric granite block landforms, an amphitheater built from Belgian blocks, and a diverse array of ladders, poles, springboards, and spray fountains, the playground was designed by M. Paul Friedberg. Sunken three-feet below grade, the park also included a geodesic dome jungle gym, a web-like network of cables suspended between poles, and a well-developed canopy of trees, one of which supported a tree house. A restroom, tucked into one of the pyramidal landforms, created a link between the school and the larger community by making the playground fully-functional even when school was out-of-session. 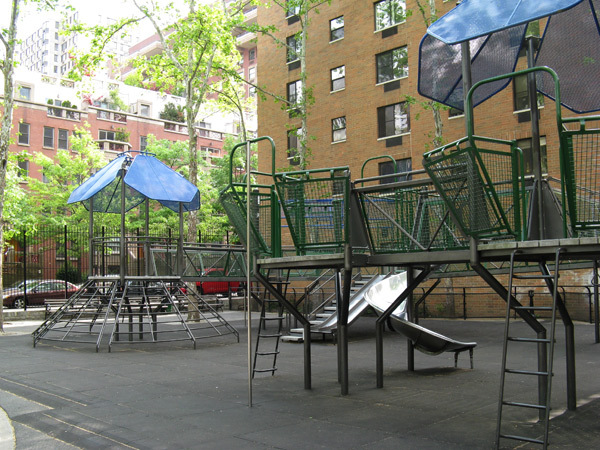 Over the years, the playground suffered from neglect and diminished maintenance. 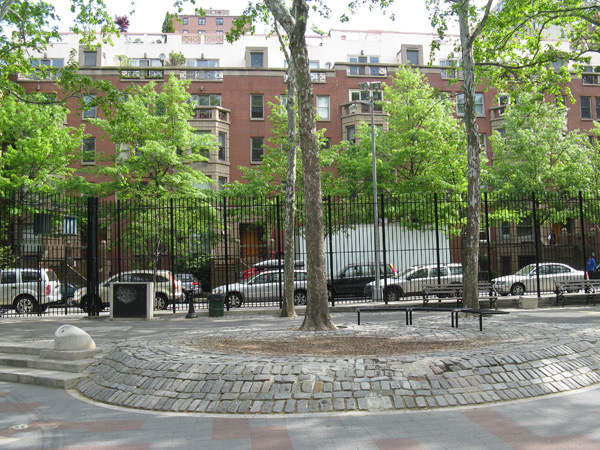 In 1996 school officials and community members, citing safety concerns, sought to have the park redesigned. 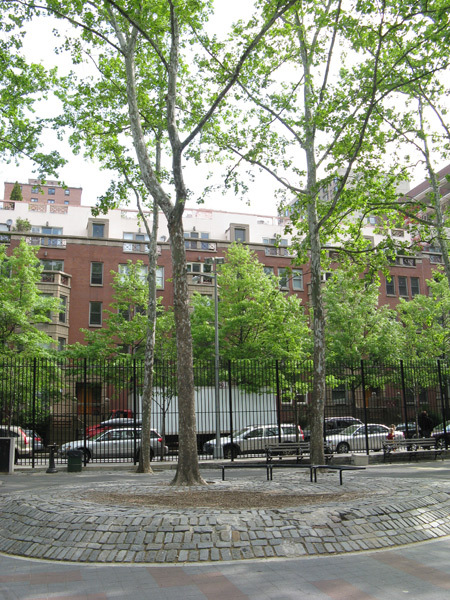 A year later, more than three decades since his initial design, Friedberg was again engaged, this time to rejuvenate the playground, building on the original design while updating the site. 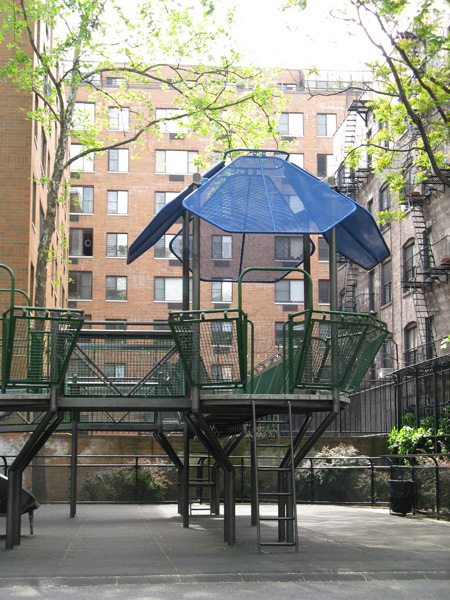 Addressing security concerns, sightlines were opened from the street, while the original water feature was redesigned and a series of bridges and suspended playground equipment was introduced to create two levels of play. 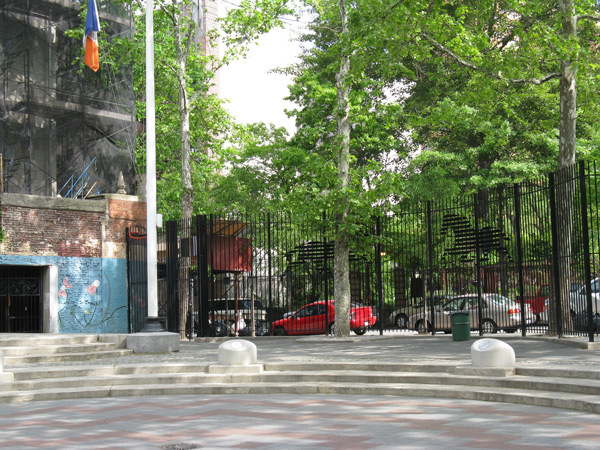 In 2003 the school was renamed the Richard Rodgers School of Art and Technology.